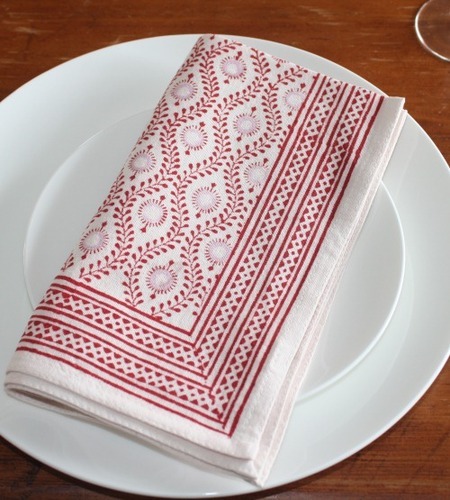 These napkins in red and white will brighten up your table for any occassion. Hand block printed made from 100% cotton . Napkin 45 x 45cms. Matching Bungalow Lulu Red tablecloth available.